Overlooks the NY Power Authority's Blenheim-Gilboa Pumped Storage Project's lower reservoir and surrounding hills. Fishing for trout, bass walleye and more. Boating and water-skiing. Swimming not allowed in reservoir but has an Olympic-sized swimming pool. 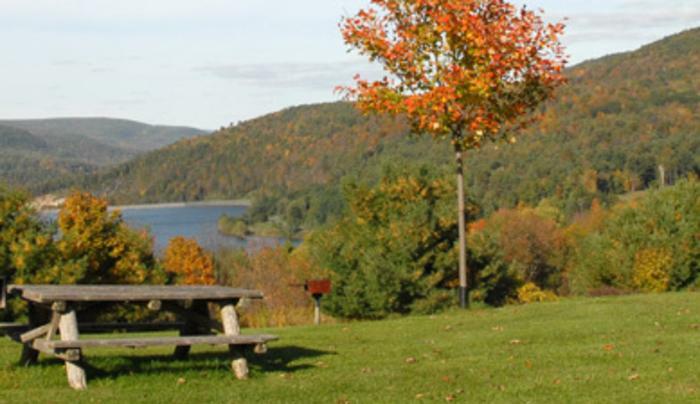 The park also offers soccer, volleyball, picnicking, hiking, snowmobiling and x-country skiing. Open year round.